Subscribe to my mailing list to keep up with the latest news, updates and giveaways. Thank you for subscribing, you should receive an email from me soon. Brutal Beginnings and the Quest for the Thunderstone (#1 Bestselling Fantasy Series Shorts) for FREE! For a limited time, join my email list and I will send you links to download all of these books as well as other freebies of my best selling book series. There is no better time to dive into some of my beloved fantasy/sci-fi series. Don’t worry, we won’t sell your email or smash your inbox with a horde of emails. You can unsubscribe at any time. 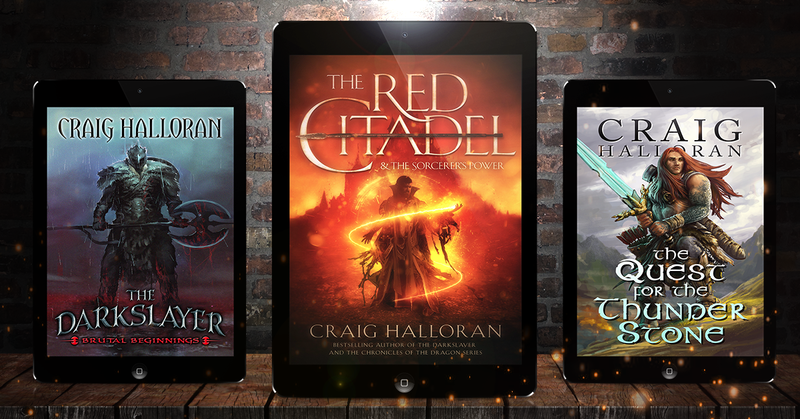 *Craig Halloran is a #1 Bestselling Fantasy Author, KDP All-Star and Top #100 Author on Amazon with over 70 Books in in publication. To learn more, check out his author section.